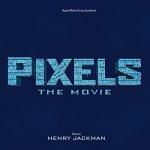 Despite the fact that only 6 songs here on the site are represented in the soundtrack to the «Pixels» film, its complete collection includes 16 main and 21 additional composition. Clockwork Game On by Waka Flocka Flame is a mixture of folk rock and light rave and is the main theme of the film. Essentially easy and entertaining movie, where aliens from outer space once again wreck cities of USA, and the main hero who saves all, is not Bruce Willis, usually selected for this role, but Adam Sandler. The film has its own charm and is very entertaining. The soundtrack is the same entertaining as the movie itself – of course it matches that "gaming development" of the story on the screen. It includes both folk songs, and good rock. The song We Will Rock You is an interesting remake by VonLichten of the well-known song by Queen , with an instrumental introduction, threatening complication in the anti-utopia styled movies like the Dark Knight, Michael Bay’s movie, unexpected guitar-string continuation and the epic finale. The same song is one of the official soundtracks to the film. Well, sad and full of hopelessness Brand X Music melody, instrumental, flapping and exhilarating your senses.